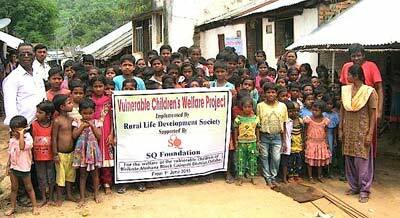 The Vulnerable Children’s Welfare Project was established in June 2015 in Birikote village within the Odisha region of India. The core aim of the project is to provide vulnerable and under-nourished children with education and food. Within this area parents and guardians typically earn a meagre living and, due to illiteracy and struggles for daily survival, they find it very difficult to send their children to school or support their education at home. Some forage in the forest for food but because of severe drought conditions over the last five years, the food sources are drying up. Many do not have enough to eat and children being born there are dying of malnutrition. The RLDS project provides supplementary education for 150 children before and after school and provides at least one hot, nutritious meal each day. It operates in the morning from 06:00 to 09.30 and again in evening from 17:00 to 18.30. By reinforcing the basic language and numeracy skills taught at government schools, the children are enhancing their future prospects and are able to pass the State exams to get into the Government run Medium School. Parents are encouraged to get involved and are invited to regular parents meetings. This ensures they are aware of the project’s aims and it encourages them to support their children’s participation. 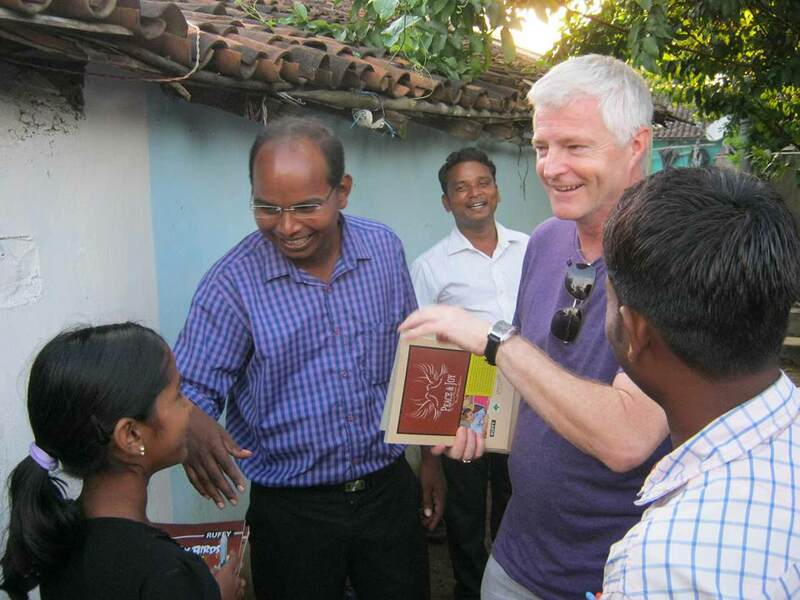 In addition to supporting children and their parents, the project has had an even wider impact on the local community. For many years before the project began, the local villagers’ main industry was the making and selling of wine. Despite providing an income, this led to a large-scale issue with alcoholism and violence. Over-consumption of wine meant that many children were being neglected, and many adults were dying of alcohol-related illness. 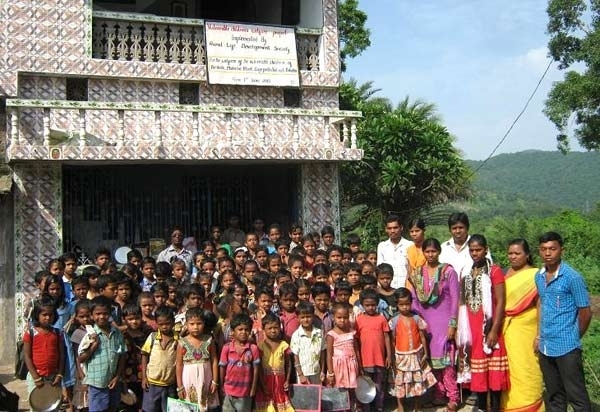 Since the start of the project, the villagers made a unanimous decision to ban the making and selling of wine for the welfare of their children. The project is also provides employment opportunities for local teachers and cooks. Unemployment has become a severe problem in rural regions of Odisha and those who work in the project did not have jobs beforehand. Having work means that the teachers and cooks are strengthened financially and are able to live their lives with greater dignity. In this area, a little money goes a long way. 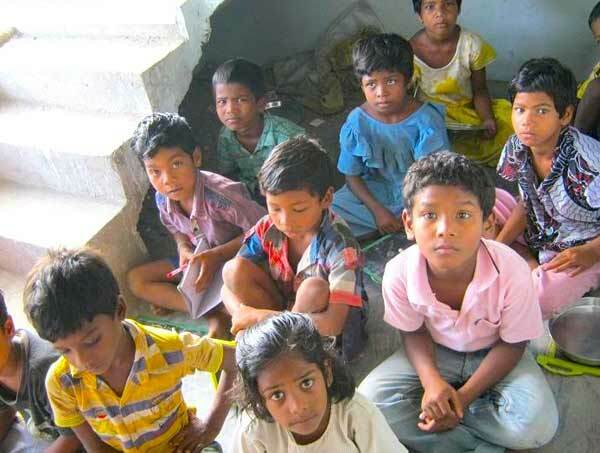 It costs only $108 per year to feed and educate each child – that’s just $9 per month, or 30 cents per day.